NEW YORK, NY According to Denihan Hospitality, a full-service hospitality company focusing on developing, owning, managing and franchising hotels, Nadia Karmali and Michael Shiwdin are joining the company as VP of revenue management and VP of asset management, respectively. Karmali and Shiwdin have spent the majority of their respective careers working for some of the hospitality industry’s largest operators, and are skilled in financial management, driving revenue and leading teams. 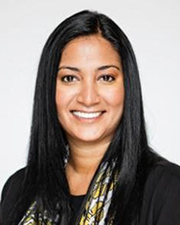 In her role as vice president of revenue management, Karmali, who joins Denihan from Marriott/Starwood Hotels and Resorts where she spent the past 13 years serving in various advanced revenue management positions, will be responsible for driving revenue, market share and ongoing yield improvement across all of the Company’s flagship brands – The James, The Surrey, Affinia Hotels & Suites and The Benjamin. Among her many responsibilities at Starwood, she oversaw strategic management of guestroom inventory and pricing, driving optimal market share gains for some of the largest hotels in the country, including the Sheraton Boston Hotel, Westin Copley Place and the W South Beach. Ms. Karmali holds a Bachelor of Commerce (BCom) in Finance and Marketing from McGill University. 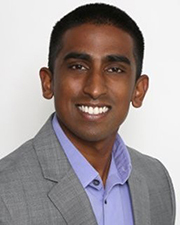 In his position at Denihan, Shiwdin will support the development team through the maximization of the value of Denihan’s assets, analyze operating performance and execute capital projects. Previously, he was Vice President of Operations for sbe Entertainment Group, where he oversaw strategic initiatives and operating performance for the company’s portfolio through collaboration with ownership groups and internal department teams. Shiwdin also spent time leading a top line analytics team with Starwood and at JP Morgan Chase.